Dynamic acceleration of research concept through integration of knowledge in different fields. 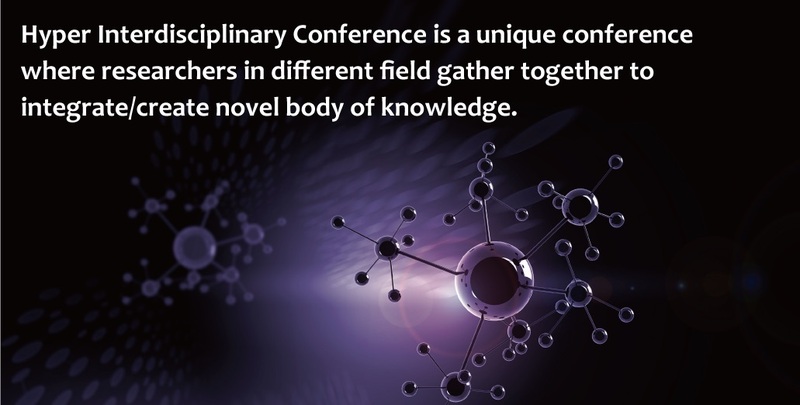 Though the importance of interdisciplinary research to develop a novel concept has been recognized, just mere gathering of different researchers does not promote the integration of knowledge from each field. To the Hyper Interdisciplinary Conference researchers in academia, big companies, small factories, and startups gather together. Facilitation of discussion with different type of thinkers are tough job, but we LEAVE A NEST has 15 years of experience in this catalyst type activity. We set the topics to discuss and facilitate/accelerate the discussion as a professional. Why don’t’ you join us to develop futuristic vision with us and thinkers from different fields. Cybathron is the Olympic of disables with the help of cutting-edge robotics and engineering. The 1st event was held in Oct. 2016. We invite local authorities and startups from regions where Leave a Nest is working on. There will be a discussion session with researchers and students to discuss about social issues and solutions that lies in these regions. Here there will be researchers from hyper disciplinary fields, willing to discuss and collaborate with people from many different backgrounds. This session will be a perfect opportunity to widen the possibility of your research. Leave a Nest staffs will facilitate a workshop where selected researchers in wide range of fields will discuss about their research. TECH PLANTER Meet Up is a career event where passionate individuals and startups can meet. Participants can learn about startups’ vision and Passion so they can find a place for their next challenge. There will be a pitch event by young researchers to explain about their research topic. Participants will be applicants and selected researchers from Leave a Nest Research Grant. Ms. Aisa Mijeno, Filipino social enterprise who had a talk session with President Obama in APEC and Ms. Anna Skaya, the winner of TECH PLANTER in Silicon Valley will visit Japan and give a special presentation at Real Tech Venture Of The Year. We will award startup that may change the world with it’s vision and techonology 10 years in the future. Participants from TECH PLANTER will be there too. Various novel ideas can be generated from problem sets, industries and research specific to each local place. All of these have potential to lead to “Local Revitalization”, one of the hot topics in Japan now. In this round, we run workshops to create solutions for the problem sets given by Osaka, Okinawa, Kumamoto, and Shiga region. Also, we will discuss novel technology which can be a difference maker in the field of Agriculture and healthcare. Talk about regional issues and efforts towards solution. Also exchange information and discuss with young researchers and MOT students of Kyoto-Osaka-Kobe area. At this discussion, researchers who took a new career after retirement will introduce their own experience. In addition, we will introduce the result of the survey of the researchers’ consciousness before retirement which carried out by the Research Career Center of Leave a Nest. Collect universities that are conducting distinctive research in each area, and hold briefings for university students and graduate students. Talk session about brain science, ICT and new business. Please check all the types. Abstract is same in both types. Please list keywords, separated by commas. If you check at "Human resources", please tell us the skills you need for the people who will join your research. If you check at "Funding", please tell us the necessary research funding.